StarWars.com officially announced the upcoming arrival of the Lego Star Wars: The Force Awakens video game on June 28th for pretty much any gaming system you can dream of. The announcement came as no surprise since several different websites leaked the news and it's a no-brainer Lego would want to have their part in the biggest film in the history of cinema. We've included the press release and a video teaser after the jump. GET READY TO BUILD AND BLAST ON JUNE 28. The Force — and the bricks — are calling to you. Warner Bros. Interactive Entertainment, TT Games, The LEGO Group, and Lucasfilm today announced LEGO Star Wars: The Force Awakens, a new entry in the No. 1 LEGO video game franchise, allowing players to experience all the action of the hit film combined with LEGO’s hallmark humor and visual style. Coming June 28, 2016, for PlayStation 4 and PlayStation 3 (along with exclusive DLC), PlayStation Vita, Xbox One, Xbox 360, Wii U, the Nintendo 3DS family of systems, and Windows PC, the game is set to be an essential experience for gamers and Star Wars fans alike. LEGO Star Wars: The Force Awakens will feature new gameplay mechanics to build, battle, and fly through the galaxy like never before, and also offer new story content exploring the time period between Return of the Jedi and The Force Awakens, adding additional insight into the movie and its characters. Get a first look in the trailer below! The film’s cast of new and classic heroes and villains — including Rey, Finn, Poe Dameron, Han Solo, Chewbacca, BB-8, Kylo Ren, General Hux, Captain Phasma, and more — await gamers, as do the movie’s exciting locales, such as Jakku and Starkiller Base. 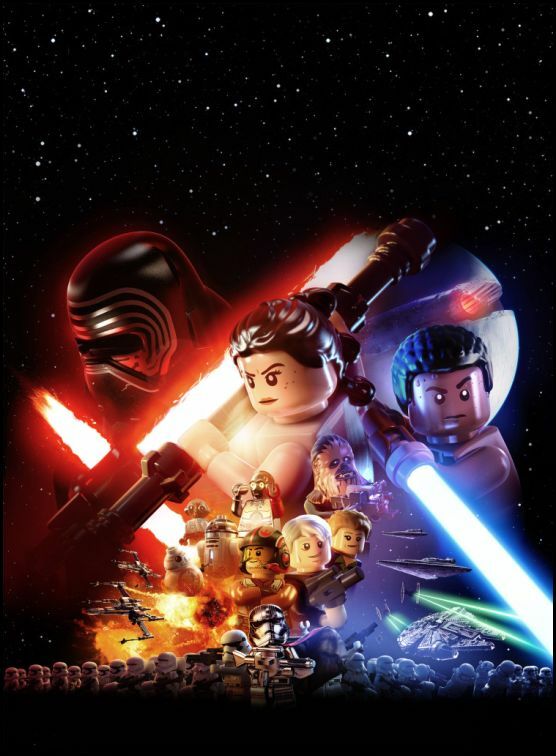 Among LEGO Star Wars: The Force Awakens‘ many innovative gameplay enhancements are: the “Multi-Builds” system, where players can choose from multiple building options to advance the game; new blaster combat, in which players use surrounding environments to drive back the First Order during intense Blaster Battles; and high-speed flight gameplay through arena-based battles and dogfights in space, while gamers utilize a multitude of vehicles along the way, including the legendary Millennium Falcon. In addition, enemies can now build, too, allowing stormtroopers to support each other with reinforcements, air strikes, and heavy artillery, adding another layer of danger to the game. Stay tuned to StarWars.com for more on LEGO Star Wars: The Force Awakens, and prepare to relive the latest installment of the Star Wars saga in a bricktastic way.